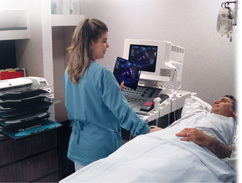 More major manufacturer's choose Codonics over any other imager to demonstrate their ultrasound systems…so why shouldn't you? Horizon, a multi-media imager, eliminates the expense of maintaining three printers by incorporating a film imager, a color printer and a paper printer into one incredibly versatile desktop device. Horizon automatically prints color and grayscale without the need to ever switch cassettes or remove ribbons. Plus, our exclusive Medical Color Matching (MCM™) technology ensures prints always match soft copy monitors. 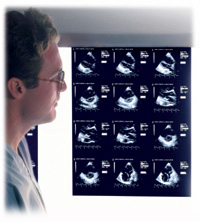 Horizon's unique ability to print grayscale and color in one imager makes it the only choice for demanding ultrasound applications requiring large and small format film for general ultrasound and breast images, color for cardiac, OB/GYN and 3D studies, plus low cost grayscale paper for patient and referral copies.